Civics and Citizenship is our after-school civic engagement program. It is our largest program and serves at least 320 immigrant youth annually in the DC Metro Area and the City of Baltimore. The goal of the program is for youth to become civically engaged in their community, realizing they have an important role to play in our community. The program increases youths’ school attendance, engagement, and self-esteem. This program is completely free for youth, and LP provides a meal for youth at each session and covers their transportation expenses. Since 2005, we have served over 4,000 immigrant youth through this program. In the program, youth meet different guest speakers including elected officials, working professionals from different careers (often immigrants themselves), and college and scholarship representatives. 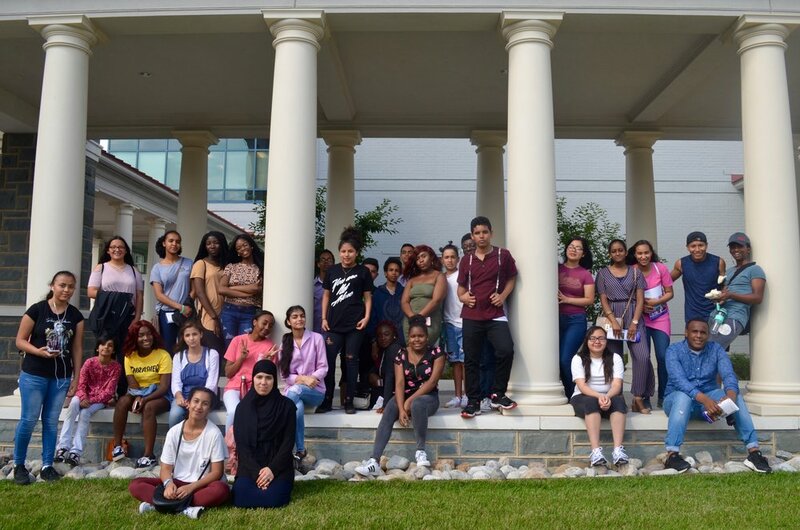 Youth visit local civic institutions such as police and fire stations, and attend field trips to various colleges and museums throughout the DC Metro area. Youth also have the opportunity to contribute to their community firsthand through volunteer service learning projects. Upon completion of the course, students have a greater understanding of American civic life and are equipped with the knowledge and skills to become active participants in their local communities.